Decal set in superior quality especially designed to replace that yellowed/worn/aged decal set that came with your expensive Revell kit. 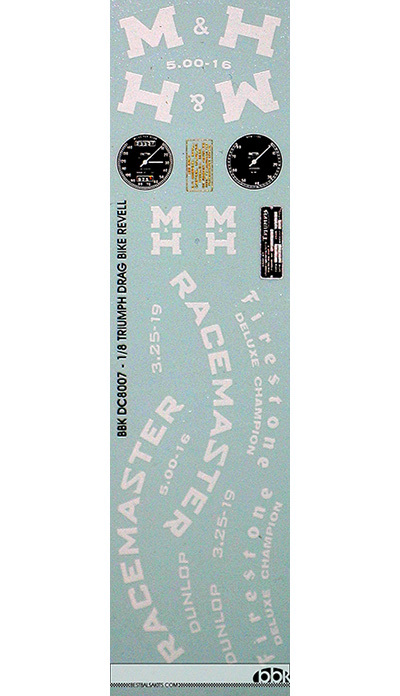 Next to speedo & rev counter decal, we also included Firestone rear & Dunlop front tire decals. Those who want to pimp their bike to more modern settings can use the H&M RACEMASTER decals for front & rear tire that we added to the design!